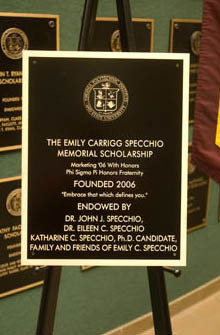 Thanks to your donations, The Emily Carrigg Specchio Memorial Scholarship at Virginia Tech is now endowed! It will now be given annually in perpetuity to Virginia Tech Student(s) whom embody Emily’s spirit and drive. 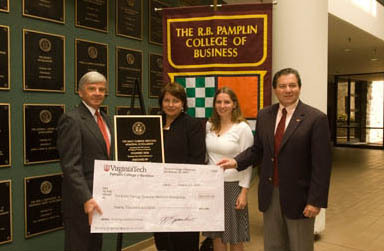 For more information about the scholarship and past/current awardees, please visit our VT Scholarship page. Also, pictures of the dedication ceremony are in our Gallery Section.